The Kansas City Ballet, one of the diamonds in Kansas City’s crown, turns 60 this year. Last season, the Kansas City Ballet reached more than 90,000 people through outreach, dance education and training, and performances combined. Last June, the company hosted the annual national DanceUSA Conference, which gathered over 500 industry professionals from across the country to Kansas City. Most recently they were invited to perform Devon Carney’s new “The Nutcracker” last November at the Kennedy Center in Washington D.C. The road to the company’s success is long, winding, and dominated by four extraordinary artistic directors: Tatiana Dokoudovska, Todd Bolender, William Whitener, and Devon Carney. Individually, each of these remarkable leaders has brought vision and talent to the company. Together, they have built The Kansas City Ballet into a company with a national and international reputation for excellence in dance. He was describing Tatiana Dokoudovska, who founded the company in 1957 with the goal of bringing a regular ballet presence to the Kansas City area. Tatiana Dokoudovska was born in 1921 in France, where her Russian parents had fled during the Russian revolution. Dokoudovska was raised in Paris, where she took ballet from her mother’s godmother, exiled Russian ballerina Olga Preobrajenska. In 1939, Dokoudovska joined the American Ballet Theatre in New York; she danced with the company for two years, most often partnered with Jerome Robbins. When the company disbanded during World War II, she danced at Radio City Music Hall. She eventually became an American citizen and in the summer of 1954, she took a summer stock job with Starlight Theatre in Kansas City. According to Townley, Dokoudovska fell in love with Kansas City. Her wish came true. Dokoudovska did a promotional television interview for Starlight. The director of what is now the UMKC Conservatory saw the interview and offered her a teaching contract. Three years later, she founded the company that would become the Kansas City Ballet. There are many stories about Dokoudovska’s drive. Her perfectionism. Her stern discipline. Her uncompromising demand for excellence. But there was another, softer, side to her. Tatiana Dokoudovska retired in 1980. By then, the company had gone through the growing pains of establishing itself in the Kansas City community. Now it needed to establish itself as a force both nationally and internationally. The board of directors began looking for an artistic director of international stature. Bolender was born in Canton, Ohio, in 1914. In 1936 he moved to New York, where Lincoln Kirstein and George Balanchine recruited him for their first company, the American Ballet. Bolender worked with Balanchine for over 30 years as a principal dancer and occasional choreographer. He choreographed all over Europe. He worked on Broadway. Then in 1981, Kirstein recommended Bolender for the new artistic director position at the Kansas City Ballet to board member Elizabeth Wilson. 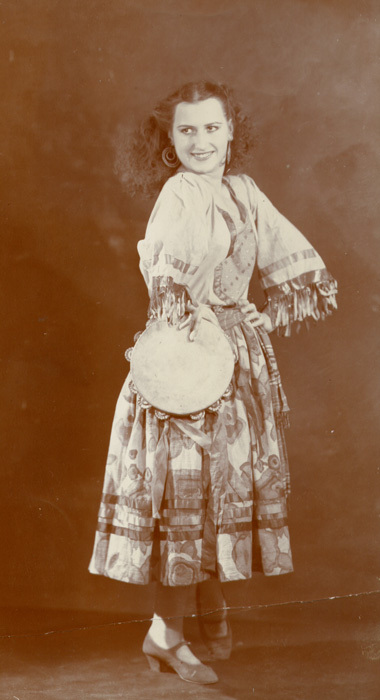 Bolender came to Kansas City with two conditions: The company would create a school and the performances would always have a live orchestra. It was during Bolender’s tenure, in 1986, that the Kansas City Ballet was renamed the State Ballet of Missouri, a joint venture with Dance St. Louis. The idea behind the partnership was to provide more opportunities for the dancers and to make the art more accessible to the community. Like Dokoudovska, Bolender had a reputation for demanding perfection. But also like Dokoudovska, Bolender had a softer side, which showed most often in his mentorship of young dancers. Bolender retired in 1995 but remained with the company in an emeritus capacity until his death in 2006. When Bolender retired, the board of directors began looking for his successor, someone, like him, who had a background with Balanchine. But when they found William Whitener, whose lineage is more Tharp than Balanchine, more eclectic than classic, they took the leap. Whitener was born in Seattle in 1951. When he was 11 years old, he received a scholarship to study with the San Francisco Ballet School. By the time he was in his teens, he was studying with Robert Joffrey. By the time he was 18, he was dancing with the Joffrey Ballet. His resume is impressive and varied. He was in the original Broadway cast of Bob Fosse’s “Dancin’’ as well as the film “Amadeus.” He has choreographed for Ann Reinking, Tommy Tune, Faith Prince and the figure skater John Curry. He has taught at Harvard and performed for President Reagan. Times were tough at the beginning of Whitener’s tenure. Dance St. Louis decided to terminate its relationship with Kansas City Ballet after the 1996-97 season. The resulting budget cuts resulted in a reduction of the company’s season from three repertory programs to two, and the replacement of live music with recorded music. In response, Whitener created programs that were budget-friendly but kept his dancers dancing. 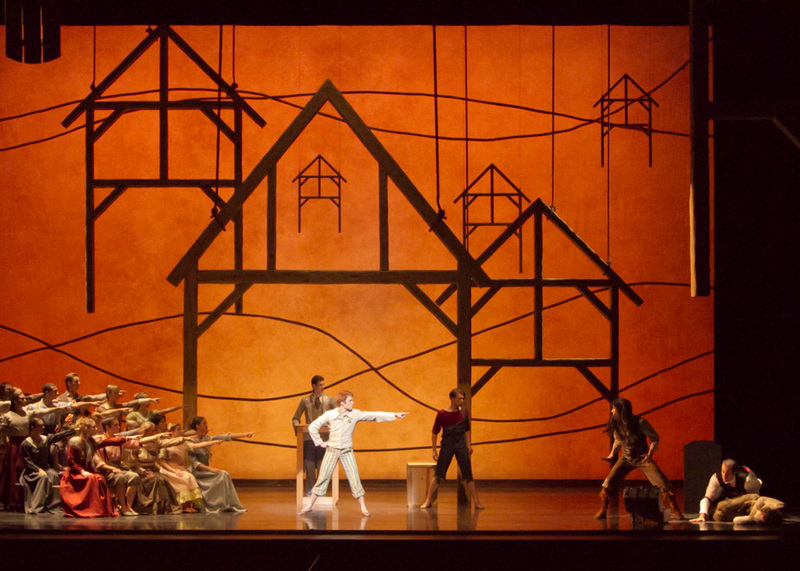 The loss of one of the repertory programs made it difficult to employ dancers for a full season. In 1998, two years after Whitener arrived, Jeff Bentley became the executive director. Bentley and Whitener together ushered the company into its next phase, including changing its name. During Whitener’s tenure as artistic director, the Kansas City Ballet made its debut at The Kennedy Center, moved into its permanent home, the Todd Bolender Center for Dance & Creativity, and became the resident ballet company of the Kauffman Center for the Performing Arts. Whitener left the company after the 2012 – 2013 season; enter Devon Carney. Carney was born in New Orleans. He was a downhill ski racer and a gymnast but when he took a ballet class, he fell in love and was soon taking gymnastic classes just to help his jumping in ballet. In 1978, Carney joined Boston Ballet; he became a principal dancer there in 1986. His resume highlights his experience as a dancer, choreographer and teacher. He will lead the company into the next big anniversary. And there seems to be little doubt that his tenure will be as successful as the three he succeeds. More than 580 dancers have performed with Kansas City Ballet since it was founded in 1957. Many more have sewn costumes, built sets, driven students to ballet class and raised money.